Hanover – Holiday traditions usually provide seasonal merriment. Yet, there is one unfairly maligned standby: the dreaded fruitcake. 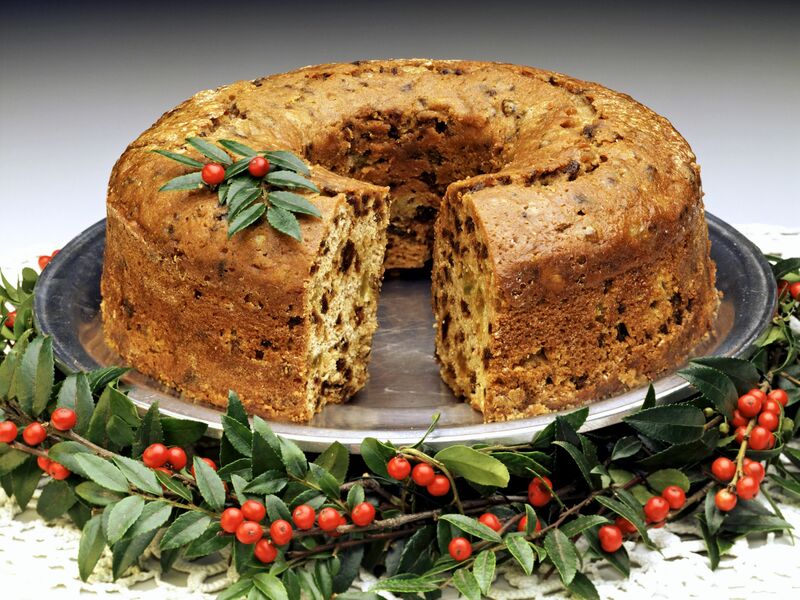 Many people have never actually tasted fruitcake, but insist it’s absolutely putrid. As a nancial planner, The Wicked Smart Investor gets a similar reaction. Frequently, people assume they cannot afford my services but don’t understand quality advisors justify the cost. Let’s talk about fruitcake, an immensely popular confection in Victorian England. Made with nuts, dried fruit, spices, and sometimes booze, it traces its roots to the Roman Empire. Yet, its glorious history did not prevent Johnny Carson from joking “The worst Christmas gift is fruitcake. There is only one fruitcake in the entire world and people keep sending it to each other year after year.” Instantly, fruitcake became the yuletide whipping boy. Alas, there was no mistaking Grumpy’s happiness at Christmas time. He took great joy in simple pleasures like playing board games with his grandchildren while snacking on fruitcake, and it was only expected that Grumpy would want to share his beloved fruitcake with his young grandson. One Christmas, he cornered me in the dining room with a slab of the muddy looking concoction. “Try it Christopher it’s good,” he commanded with a grimacing smile. There was simply no arguing with Grumpy, I was stuck. I nervously took a bite and my worst fears were confirmed. It tasted like the devil dipped a cellulose sponge in cherry cough syrup then sprinkled it with slimy insects and nuts. I got woozy and confused, I sensed it was really Halloween and this was the witches’ brew. Observing my obvious distress Grumpy bellowed “For Cripe’s sake what is wrong with you Christopher? It’s good.” There was definitely something wrong with me alright. I wasn’t back to myself for at least a week. I swore o fruitcake forever but at least I actually tried it. Can you say the same thing about a financial planner? Do you simply assume you cannot afford one and do it yourself? Or, maybe you seek free advice from an unqualified relative, friend, and/or co-worker? Many times I actually reduce investment costs while giving clients personalized service. The low cost mutual fund giant Vanguard conducted a study on the value of a quality advisor and the findings note that over the long term, clients enjoy an extra 2.9% return and that is net of fees! You may want to reconsider your opinion of advisors. This season I reconsidered my fruitcake boycott. Somewhere I read taste buds are constantly changing so maybe I could appreciate a fruitcake now. Also, if fruitcake was so horrible why do Hickory Farms, Hostess and various mom and pop bakeries sell millions of them each year? At Greenhill‘s in Dorchester I courageously had a slice. It wasn’t bad, it would not be my first choice, but it wasn’t torturous. I’m sure somewhere good old Grumpy was laughing at me. For Cripe’s sake Grumpy, yes you were right! I wish you were here for one more Christmas. I’d still beat you at Parcheesi. I hope you enjoy the simple pleasures this holiday season. About the Author Chris Hanson is the author of The Wicked Smart Investor blog and a CPA who specializes in financial planning at Lindner Capital Adivisors in Hanover. He earned his BBA at the Isenberg School of Management University of Massachusetts and an MBA at Babson College’s F. W. Olin Graduate School of Business. He may be reached at (978) 888 – 5395 and you can read his blog at wickedsmartinvestor.blogspot.com.